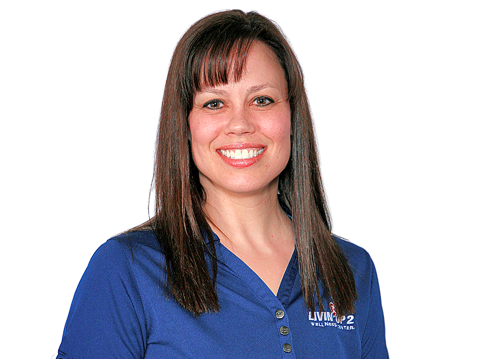 Sheila is a wife, mother of 2, full-time Project Manager, and has taught Group Fitness classes at Livin’ Up2 since March 2013. 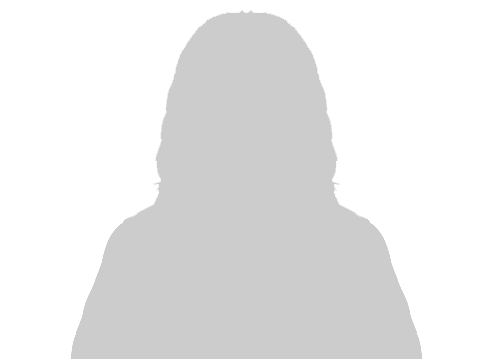 Sheila’s fitness and exercise journey began in high school when she participated in track and field. She began running 5K’s, and Quarter and Half Marathons while earning her Bachelor's degree in Business Administration at Otterbein College. Sheila placed 2nd in Women’s Physique, behind the shows overall winner, at the Mid-Atlantic Championships in Wheeling, WV in November 2012. Sheila’s high energy Meet Me @ the Bar class is a fun and enthusiastic, 60-minute, total-body sweat-fest including high intensity interval training and strength training using weighted barbells and dumbbells. Sheila brings her excitement for teaching and exercise to every class and she believes that participants at every level should feel welcome in Group Fitness classes. I have been in the fitness industry since 2002, and due not only to the amazing results my clients have seen, but also to the incredible relationships that I've been so lucky to develop, I feel blessed to be a Personal Trainer. I have been fortunate enough to train a variety of people- from professional athletes to youth benchwarmers, pop music stars to Johnny Couch potato- yet everyone's challenge is special to me. Nothing makes me happier than seeing the look on my clients' faces when they realize that what we're doing is working and that they are actually going to be able to reach their goal. After having multiple 100+ pound losers and years of watching thousands of pounds melt off of people, I know that EVERYONE can succeed as long as they want it bad enough. Dustin has a BA in Sport Management from Bluffton University, 2002. 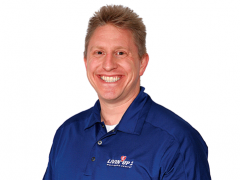 He is a Certified Personal Trainer, ESA, CPR/AED, American Red Cross. 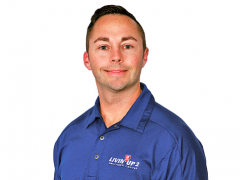 Dustin's specialties include Sports Specific Training, High Intensity Interval Training (HIIT), Weight Loss, and Muscle Gain. Sarah says, "I believe in a balance of nutrition and exercise. For exercise to be most effective, it needs to include lifting weights AND cardio. I love challenging myself and others by pushing the limits, with music as the timer. My goal is to increase an individual’s confidence in their abilities. I strive to do this by encouraging them to do one more rep, to try an exercise, and by acknowledging their hard work. The most difficult part is showing up, and I hope my classes will make this easier for them. Fitness is not my only passion, but plays a great role in my life. I hope to continue teaching classes and working at Livin’ Up 2 while teaching elementary students. I recently obtained my Bachelor’s degree in Early Childhood Education through Ashland University. I also have my Associate’s degree in Early Childhood Education through Columbus State Community College. I am determined to find a balance between teaching fitness classes and students." I am a personal trainer and group fitness instructor here at Livin Up 2 Wellness Center since 2010. I have a Bachelor's degree in Exercise and Sports Science, and a Bachelor's in Behavioral Social Science, which is a comprehensive degree including Psychology, Sociology and Communications. I have been an ACE certified Personal Trainer since 2000, an ACE certified Group Fitness Instructor since 2010, an AFPA certified Group Cycling Instructor since 2011, and an IFPA figure Pro since 2013. I am CPR and AED certified, and a Licensed Massage Therapist. I am a 37-year-old mother of two, and I have a passion for helping others achieve goals that they never thought they could. I understand and have lived all the excuses of putting your own health last, and I’m here to listen, educate and motivate my clients to plow through all those excuses and find their inner strength to gain their win! I lead Group Cycling on Thursday Mornings at 5 am and Sunday Mornings at 9 am at Livin Up 2. When I was in College (a few years ago), I started riding my bike for exercise. I continued this for many years and then I stumbled across an exercise class called Group Cycling…I decided to give it a try. Group Cycling was not only a path for my weight loss and my exercise, but it also has another aspect that I truly enjoy in life: music. I love pedaling up a steep hill to the beat of a song! At the time I tried my first class I never thought that I’d ever have the opportunity to lead an exercise class that was both something I could participate in while teaching, and also help me achieve my fitness goals. I have now been leading my Group Cycling Classes at Livin Up 2 Since March of 2012, and I enjoy all aspects of it: Leading, the Music, the Ride and of course our Class Participants. No matter what your fitness level may be, Group Cycling will give you a cardio workout that has less impact on your joints, it will get your heart rate up, it will make you sweat, and leave you feeling accomplished after class is over. The point is, just keep those legs moving…it’s your ride! 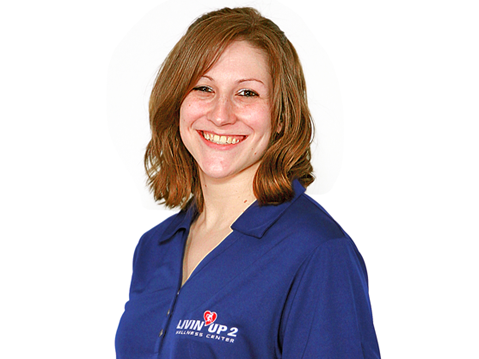 I am a group fitness instructor & personal trainer here at Livin Up 2. I also occasionally hold a six week class based on a book I wrote called 33 Ways for 33 Days to assist in motivation and accountability for reaching goals. I have Bachelor's and Master's degrees in Biology from UTSA. I earned my PhD in Educational Psychology in 2011 from The Ohio State University. I have a group fitness certification from NETA, and I am CPR certified. My passion is helping others create a healthy and happy life through proper nutrition, fitness, and maintaining a positive and optimistic attitude. My dissertation for my PhD focused on a system that I developed to assist others in creating a system in their daily life to optimize reaching goals. Through accurate information and tailored programs, I help others reach their goals. After living in California and Colorado for the past 13yrs, Sarah Scott relocated back to her home state of Ohio with her husband and 2 children. 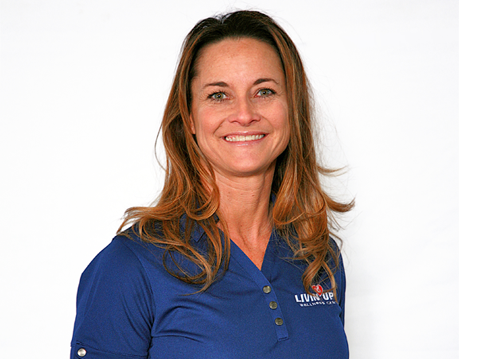 She has been a nurse for 15yrs, with a strong passion for health and wellness. 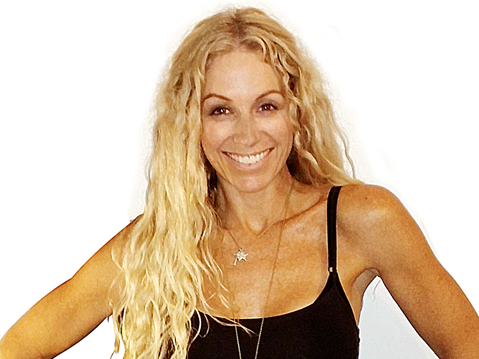 That passion has developed into a daily yoga practice for the last 11yrs, and Sarah has led classes for the last 2yrs. Yoga is a whole-health progression by being a practice for both your mind and your body. The practice will provide nothing but a positive outcome for many aspects of your life. Krav Maga translates to "contact combat." Matthew has practiced Krav Maga since 2003, and has instructed Krav Maga since 2011. 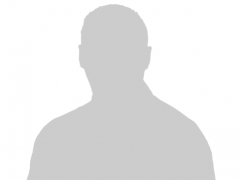 Matthew has trained with members of the Federal Air Marshals Service, the Michigan State Police and various law enforcement agencies in that time. Krav Maga's efficiency and simplicity make it one of the most effective defense forms in the world.